Fri., Feb. 24, 2017, 7 p.m. If, as expected, “La La Land” wins the Oscar on Sunday, it would be the first best-picture winner since Clint Eastwood’s “Million Dollar Baby” to feature a woman nominated for lead actress. Let that rattle around your brain a minute. That’s 12 years of kings and compromised cops, angst-ridden actors and Afflecks without a best-picture Oscar winner that focused on telling a woman’s story. If you’re looking for a symbol of where women stand in movies right now, that’s a pretty good place to start, particularly after the Equal Employment Opportunity Commission announced last week that it’s now engaged in settlement talks with studios to settle allegations of systemic discrimination against female directors. Lately, though, movies focusing on women – “Jackie,” “Carol,” “Wild” and “Gone Girl,” to name a few – have been overlooked in the best picture category, though their actresses have found favor with the academy. And none of these films was directed by a woman. Yet Fielder and the producers of the year’s other best-picture Oscar nominees express an optimism that change is not just on the horizon but here. And that next year, when San Diego State’s Center for the Study of Women in Television & Film puts out its annual Celluloid Ceiling study, there will be a jump in representation. OK, maybe not a jump, but perhaps a small step forward from this year’s findings that women constituted just 17 percent of all the directors, writers, producers, executive producers, editors and cinematographers working on the 250 top-grossing movies. Why the hopefulness in the face of numbers that have remained static for so many years? For starters, the commercial success of female-driven movies such as “Hidden Figures” and “Arrival” have some believing that studios, financiers and agencies will let go of the fallacy that films starring women don’t make money. There’s also the fact that in the past year, Walt Disney Studios has hired two women – Ava DuVernay for “A Wrinkle in Time” and Niki Caro for “Mulan” – to direct tent-pole movies sporting $100 million-plus budgets. And this too: Five of the nine movies nominated for the best picture Oscar this year have female producers. But mostly, these producers say, the optimism comes from what they’re doing with their own hiring power. For “Hidden Figures,” the rousing period drama about the African American women mathematicians who helped the space program in the early 1960s, Melfi hired a crew that was 35 percent female, including cinematographer Mandy Walker. Likewise, when putting together the production team for “Fences,” director (and star) Denzel Washington and the film’s producers hired cinematographer Charlotte Bruus Christensen as well as women for the key jobs of line producer, art director and set decorator, among others. Beyond these conscious choices, there’s evidence in the Disney hires that the studio mentality that ignores women or limits their choices of projects may be beginning to change, though not as quickly as most would like. “I heard they don’t want to,” Romanski jokingly replied. That institutional bias against women directing genre movies – horror, thriller, action and science-fiction – is a long-standing problem, but obviously, given the grim annual employment numbers, far from the only one. Lower-budget indie films provide a place for new talent to emerge and different stories to be told. But “La La Land” producer Jordan Horowitz notes that it’s often hard to find financing for female-driven movies because international sales are predicated on what’s worked before. And if the opportunities haven’t been there, that sort of precedent hasn’t been established. Horowitz knows this from experience, running a production company, Original Headquarters, with his wife, Julia Hart. They have written two movies together – “Miss Stevens,” a charming, well-reviewed drama centered on a female high school teacher that premiered last fall, and the upcoming thriller “Fast Color,” which will begin filming next month. Hart directs both films. “Fast Color” stars Gugu Mbatha-Raw as a woman forced to go on the run when her superhuman abilities are discovered. It’s a genre movie, an origin story of a woman with supernatural powers that’s in conversation with genre films of the past. 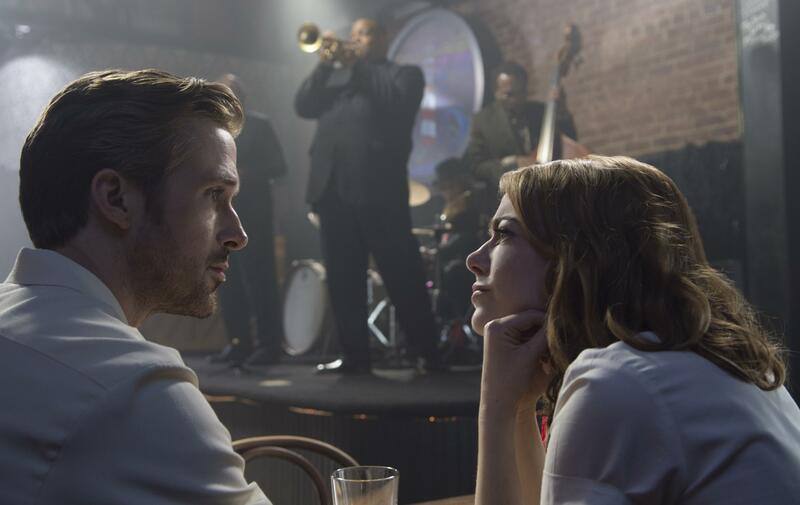 In that respect, Horowitz says, it’s like “La La Land,” a synthesis of old and new. But because it’s told and directed by a woman, he adds, it feels fresh simply because it’s coming from a different angle. DuVernay recently told me much the same thing about her take on “A Wrinkle in Time,” an adaptation of Madeleine L’Engle’s classic fantasy novel. Published: Feb. 24, 2017, 7 p.m.